This tip was created for Windows 10 users, but if you’re using Windows 7, Windows 8.1 or an earlier version of Windows 10, we’ve included instructions for you too. We’ve covered how to find your wireless network password using a command prompt, but here’s another way you can find it. 1. Open Settings (Windows Key + i) and click “Network & internet”. Click “Status” from the menu on the left. 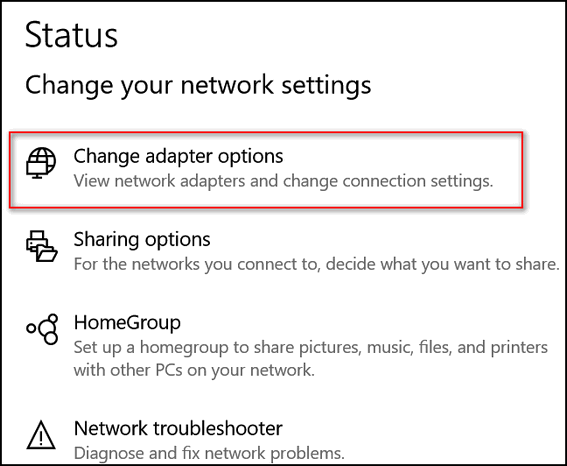 Under Status, click “Change adapter options”. 3. 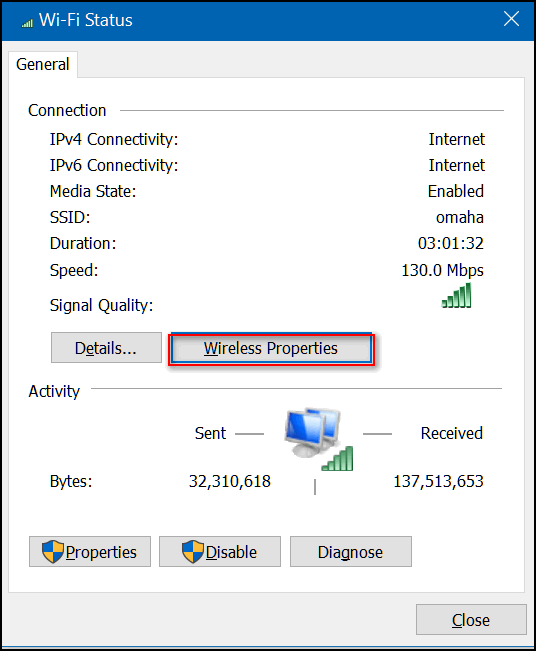 In the Wi-Fi Status window click “Wireless properties”. 4. In Wireless Network Properties, click the Security tab at the top. 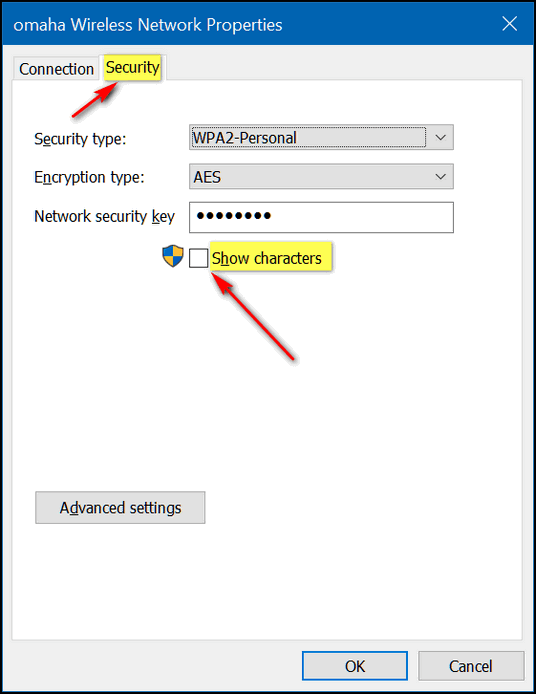 Under “Network security key” tick the box to the left of “Show characters”. As soon as you do your password will be revealed in plain text. If you need to, copy your password and then un-tick the box next to “Show characters” and close the Network properties window. Click Change Adapter settings from the menu on the left. I created a document called WIFI and saved the password there so it’s available whenever needed. Sure appreciate all you do! Thanks so much! Can you change your wifi (router) password here? I’ve never had one (or needed one) until I bought a new router recently (Linksys). It came with one installed! Do I need Linksys to hold my hand? Hi Jim. You can’t change your password from here. You have to open your router settings in a browser and change it from there. 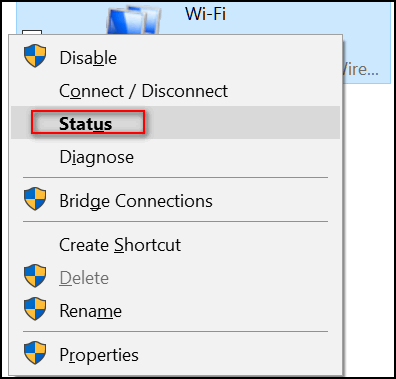 When you change the password in your router administrator panel, you’ll have to change it in Windows > Settings > Network & Internet. Launch a web browser and enter “192.168.1.1” in the Address bar then press [Enter]. Enter your login credentials on the field(s) provided. The default router password is admin.